This episode was recorded on June 10th, 2018! This week, Mike is joined by Nick and Tia to talk comic picks and comic reads. 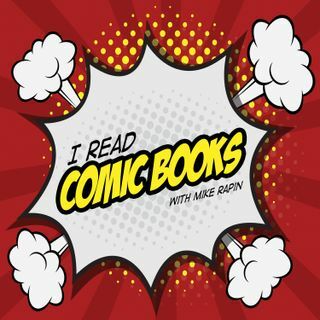 After the break, Mike and Tia have a fantastic chat about the comic industry, the change in comics for women over the years and SO much more with Hope Nicholson (a Kickstarter commissioned episode). Hope is the author of The Spectacular Sisterhood of Superwomen, editor of The Secret Loves of Geek Girls and The Secret Loves of Geeks, and Publisher at Bedside Press. Also, ... See More DO NOT MISS: The first issue of the IRCB Zine! Check it out at http://ircbpodcast.com/zine! !